"Excellent andcaring family physician. Very attentive to our family's healthcare needs." "Professional, caring, and efficient healthcare." "Entire staff is exceptional and a pleasure to work with." "Dr. Stein and his staff are professional and truly care about you as a person." "Dr. Stein is very thorough and gets right to the point." "Dr. Stein is very competent and his staff is most attentive." Michael Stein, MD, FAAFP — or Dr. Mike, as he’s fondly known by his patients — began his own practice to give his patients more. From his comfortable, welcoming Pinnacle Personalized Healthcare office in Salem, New Hampshire, he gives his patients more of his time, more personalized care, and more support to lead their healthiest, happiest lives. After graduating from the University of Vermont in Burlington, Vermont, Dr. Stein headed south to the University of Miami, Miller School of Medicine, where he completed his MD. He finished his residency at St. Thomas Hospital in Akron, Ohio, deepening his education and broadening his experience. Even after completing such a thorough education, Dr. Stein has continued to be a lifelong learner. Today, he still builds on his 30 years of experience by attending annual courses through Harvard Medical School’s Continuing Medical Education department. He’s also a board-certified fellow of the American Academy of Family Physicians. Dr. Stein blends all of that education and experience to offer his patients a true family practice. He knows that the same disease in 100 different people is 100 different diseases. That’s why he gives each of his patients ample time to make sure their questions have been answered, their needs have been met, and they leave his office feeling informed and supported. He has worked to expand his practice so it can serve a wide variety of patient needs, including joint injections, biopsies, and dermatology procedures. 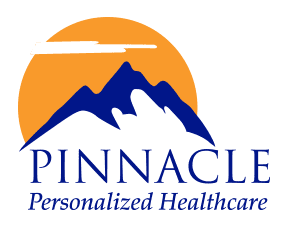 We at Pinnacle Personalized Healthcare believe that YOU should be in charge of your health care decisions with the guidance of a trusted physician. We invite you to experience the difference in care provided by an independent and client oriented family primary care practice! "The same disease in 100 people, is 100 different diseases." "You treat a disease, you win or you lose. You treat a person, I guarantee you win, no matter the outcome." "Dr. Michael Stein is very pleasant and very experienced. He has a nice, friendly demeanor and wants to practice medicine and spend time with his patients...."
"Dr. Stein is what a family physician use to be and should be today. He's attentive, caring and intelligent. His staff is extremely pleasant and empathetic." "As always, the efficiency and empathy of the staff is unsurpassed. The wait time to be seen by Dr. Stein was less than 5 minutes. He was knowledgeable and professional"
"A real doctor who cares, knows his patients as people, and truly looks out for your overall well being. He literally saved my life..."